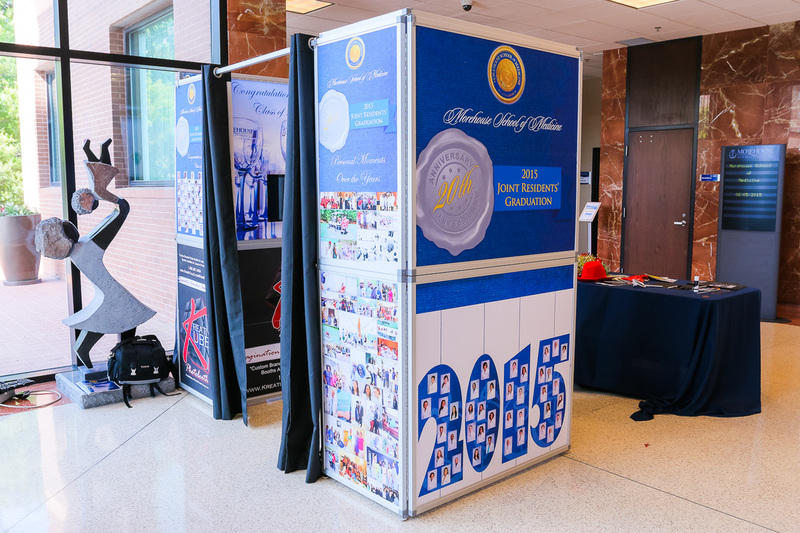 Our custom branded photo booths are like no other. This service allows you to seamlessly integrate the fun of a state of the art photo booth with your company brand. This product is totally customize to flow with your event color, theme or graphics. We can provide you the specs if you want to design your own graphics or our design team can handle that for you. We have photo booths available for lease or purchase. The branded full size booths are perfect for any company to have on-site as a permanent fixture for employee and customer relations. With our integrated green screen capabilities, the images taken can be enhanced with your company logo or brand to share instantly in print or online. We can also design a Step and Repeat for a branded booth experience. Contact us today to order or rent your Custom Branded Booth! Our full size booths are prefect for any event. If you like to display huge 8x4 feet graphics along with back lit led panels, then this booth will not disappoint. You guests will be amazed by the quality and size of the back lit graphics that comes alive in any event space or convention hall. All graphics are available for sale after the event. Green Screen Photography, or Chroma Key photography, is an amazing process which allows you and your guests to be photographed with literally any background. Green Screen is a great option for any special event or trade show. Trade Show Booths or special business events with Green Screen Photography rental as entertainment have been known to attract more potential clients. The potential customer leaves with a photo that will make your business more memorable! Your guests can record a video message for your event. All of the video well wishes will be edited and put into a music timeline and deliver to you within days after your event. Our Mini/Kiosk booths are great for smaller events and lounge setup. These booths can be placed any where in any environment and they work. They come fully custom wrapped with graphics for your event. All graphics are available for purchase after the event. 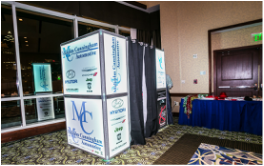 Click here to view some of our mini photo booths. Each guests will receive two booth souvenir prints, one for keep sake and the other to create a special memory in the scrap memory book. Our booth attendant will assist the guests assembly of the pages. Event guests can register and post images to their social media pages. We can also upload all of the images to the client's social media folder during the event for immediate sharing and access.